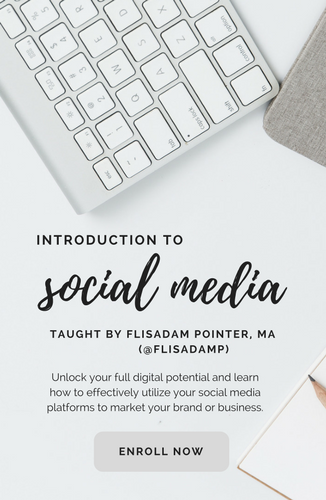 Flisadam Pointer is a digital marketing strategist that specializing in packaging the performing arts. Pairing her experience in marketing, passion for the arts and her journalism background, Pointer's ability to curate content across digital spaces is unmatched. So you want to be a live social media correspondent? Check out my guide to successfully live tweeting an event! Lighting doesn’t strike twice in the same spot. Well, I’m here to tell you it does! Check out my academic journey how I went from student to staff. E-learning is all the rage! But, before you launch your first e-course there are several things you need to know. Often times, we become extremely hard on ourselves regarding the pursuit of our dreams so much so that we forget about the little things. Here are the things I was grateful for in 2016!